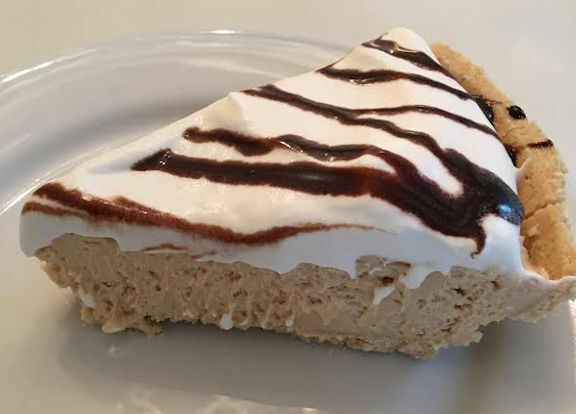 I had to make a contribution to Pi day today so I pulled out an old favorite recipe – Peanut Butter Pie. 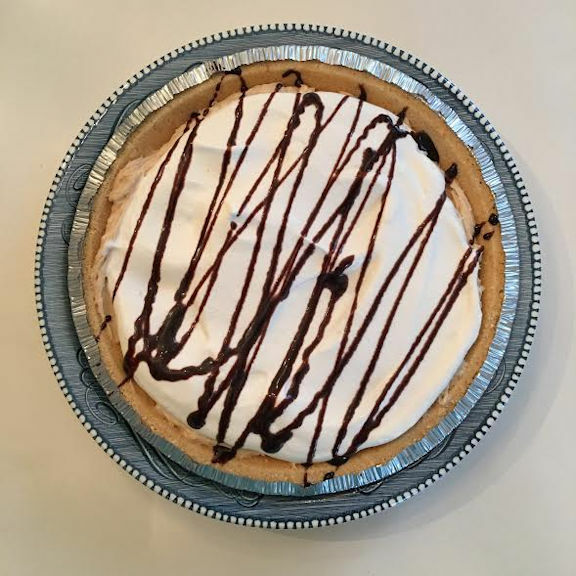 I started making Peanut Butter Pie in 1983 when I went to Florida for a week and ended up staying for the summer. 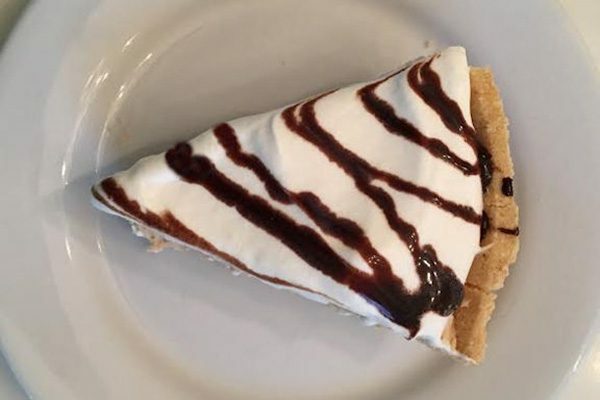 My friend Alice and I tasted this pie at a restaurant and then got them to tell us how to make it. I’m not usually a very persuasive person but for some reason the restaurant generously gave us the recipe and we couldn’t believe how simple it was to make. And so we made it a lot, along with shrimp fettuccine and wedge salads. Great food memories. This recipe is incredibly easy but tastes much more complicated. In fact this was an award-winning recipe for Olivia when she was 10 years old and participating in 4-H at her school. She entered a “Peanutrition” contest and won with this recipe. Not sure how nutritious it is but it won anyway and she got a coveted 4-H blue ribbon and 10-year old fame and fortune. Maybe this recipe will bring you fame and fortune, too. With a mixer, blend together the cream cheese, peanut butter and powdered sugar. Fold in about 1/2 of the whipped cream. Place the mixture in a pie crust. Use the rest of the whipped cream for the top of the pie. Chill at least two hours before serving. Garnish with chocolate syrup. Haven’t had peanut butter pie in so long. YUM! Not a lover of p-butter but plan to make and take to social event soon…it looks like an easy breezy make.